Essential oil diffusers have made their way into many homes. I once saw one of my friends in her living room and asked her about it. The craze hadn’t swept me in yet and she casually gave me what felt like a college course on essential oils. That conversation left me feeling confused and if I wasn’t opposed to essential oils for diffusers before, I kind of was then. But, then I googled. Why? Well, I was curious as to how these little devices that take oil and water could be as complex as my friend made them sound. Turns out, they’re really simple! I promise once you get yours in your hands it couldn’t be any easier than basically plugging it in. Now, using it like a pro is a different story. Everything we’ve learned along the way is all right here, in its most simple terms! Instead of heat, they use ultrasonic waves to place the essential oils in the air. They don’t get hot or heat up minimally. Small devices can cover an unexpected amount of square footage. It is a great way to boost your environment without adding heat or humidity! 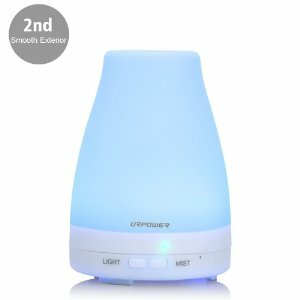 The great thing about these types of diffusers is that they are available in a variety of shapes, sizes, and you can find one in any price range. 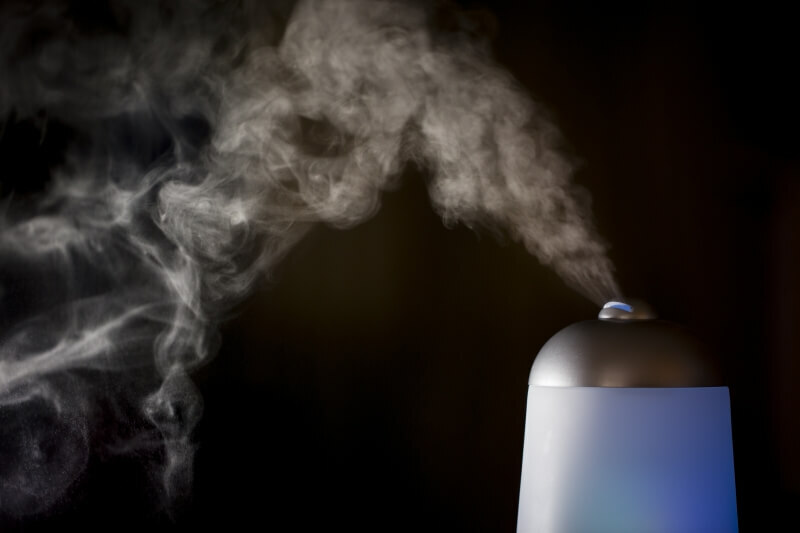 This is definitely one of the reasons why ultrasonic essential oil diffusers are so popular in hopes now. 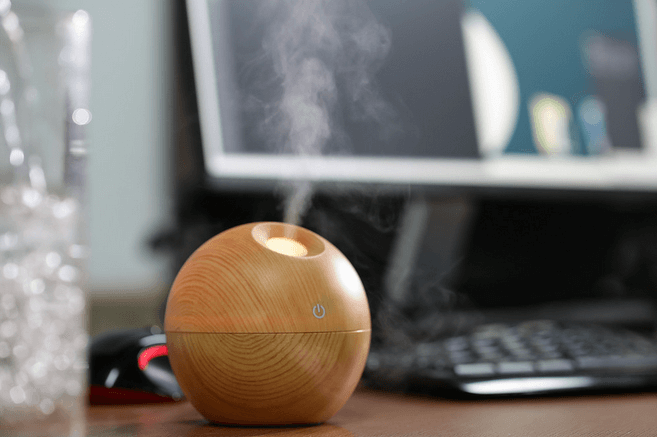 Not to mention all of the aromatherapy benefits that come with diffusers. Imagine walking into your office in the morning to be greeted with zesty orange. Even better, laying down to go to sleep with your bedroom enveloped in a soothing lavender. We promise this couldn’t be any easier or painless! Follow these four simple steps to have your diffuser up and running in no time. If you’re planning it on a wooden surface, lay a kitchen towel down underneath it. It shouldn’t be immediately under a surface, it should have open air over it. Keep the diffuser away from fans, windows and lots of sunlight. There are a few reasons for the list above, but the biggest reason for all of them is they use water to operate. If you kept it in direct sunlight or under a fan then you run the risk of depleting your water early. Just the same, water is the reason for the towel if you’re putting in on a wooden surface. If you place it under a wooden shelf the water spray could damage the shelf above it. One last thing to keep in mind when choosing the location of your diffuser is that an outlet needs to be nearby. Unfortunately, many diffusers have very short electrical cords, so a close outlet is a must! Most essential oil diffusers fill in the top and hold about 100 ml of water. Usually, you can easily see a “fill here” line or come with a handy cup. You definitely can’t miss the water reservoir, it’s basically the main part of the diffuser. Be sure that the water you’re using is room temperature and clean. Although tap water is fine, if you use distilled or filtered water you can cut down on how many times you have to clean it. Lastly, be careful to not overfill the diffuser! So this is the fun part! Deciding which scents and oils to add into your diffuser to brighten up or mellow out your room. Using oils like lavender are rumored to help you sleep more peacefully. Where lemongrass is supposed to wake you up a bit in the morning. Maybe bring some peppermint into your workspace to increase your focus! It is recommended for most 100 ml sized diffusers to only add five to ten drops of oils into a full reservoir of water. Feel free to experiment with blending different oils together too! Most people say that six drops are enough, but I personally prefer a stronger scent. You will quickly find your personal preferences. When you first start using your diffuser fewer drops is easier to work with than more. Walking into a room that is too strongly scented is not pleasant and can take hours to air out! Whenever you’re ready, plug that device in and watch it power up. Most diffusers have a variety of colors or light settings which are fun to play with. Put the top back on gently so you don’t spill water and then hit the power button. Some types of diffusers have fancy settings like sleep timers, or they chime when they get low on water. 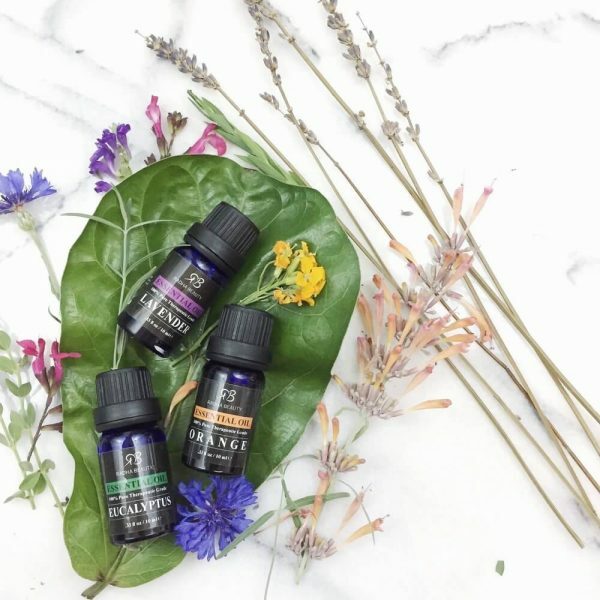 We find that the questions we hear most often are about which oils to use to boost which areas of our lives and environment. This is a master list of the most common essential oils and their uses! Frankincense – Lifts spirits, improves focus and instills balance. Put a bit of frankincense in your diffuser when you’re ready to start meditating. Grapefruit – Kills food cravings, restores a positive mood, stifles anxiety and decreases stress. Great for bedrooms, and kitchens. Lavender – A soothing scent that staves off depression, anxiety, and stress. Use before going to bed and to keep your bedroom calm. Lemon – Uplift and detox your space for a pure and energizing environment! Peppermint – The ultimate work buddy. Peppermint increases focus keeps you alert and keeps away seasonal allergies. We hope you’ve learned everything you needed about how to use an essential oils diffuser!